Scott Lang has that scrappy character that’s more akin to a boxer or getaway car driver than a small business owner, but he’s just moved to Miami, and he needs a job. 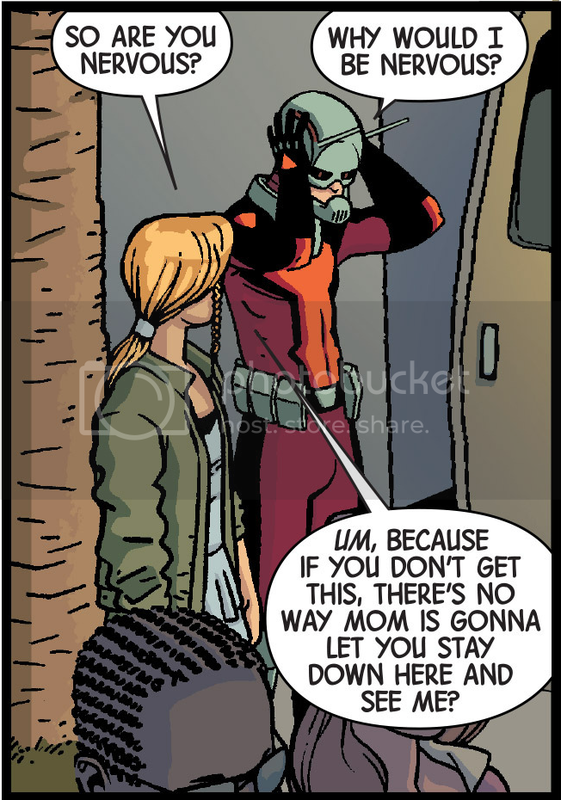 That’s the premise of Ant-Man #2, and it’s a really fun issue. As in the first issue, the driving force of Scott’s life is his daughter, Cassie. She is the reason that he does anything, and it’s an extremely moving, heartfelt story. I love that Marvel is featuring Scott Lang both in the comics and in the upcoming movie, because unlike other Marvel leading men — Steve Rogers, Tony Stark, Bruce Banner, Peter Quill, Scott Summers, etc. — Scott is one of the few who is a father, and a devoted father, at that. I’m thoroughly impressed with Nick Spencer’s writing. The narration by Scott has a distinct voice — it’s not just recounting what’s happening, but it has the humor and “aw shucks”-ness that feels true to the character. Ramon Rosanas does fun, imaginative work. As I pointed out last issue, Rosanas excels at drawing character details: Cassie’s hair, skirt, and shoes have a notable style. Jordan Boyd colors each panel with a clean, simple style that isn’t very bold or luminescent, but fits the unshowy character of Scott. Spencer introduces a new character, Mrs. Morgenstern, whom we — and Scott — get the sense that there’s more to than meets the eye. I’m enjoying Spencer’s story, and I’m thrilled that Cassie has dialogue with her dad in each issue that is thoughtful and non-cursory. Looking forward to seeing where Spencer takes Scott next.